Here are the awesome awards that I’ve received in my time blogging, thanks for the love ladies! Thanks to some of my wonderful fellow bloggers for passing on these awesome awards to me. 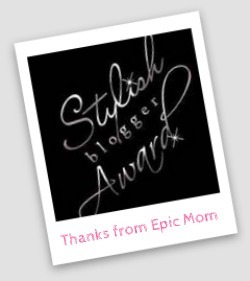 Here’s a special shout out to Stephanie from Always Just a Mom, for the Stylish Blogger Award. 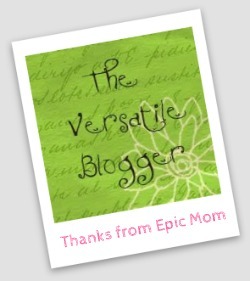 Thanks and much love to Renee from Mother, Daughter book reviews, Julia from Mom on the run x 2 and Yankee Texas Mom a.k.a Mama, for all giving me the Versatile Blog Award! Click here to read my Versatile Blog Award first post and Versatile Blog Award second post! Pop on over and check them out because these ladies are truly awesome!